For days now, I've been contemplating on whether to get another hair cut. I chopped some 5 inches off my hair last December to get rid of the dryness (even though the stylist actually recommended a few inches more), but I can still see and feel how damage my hair is now. I know a lot of people have been complaining about an increase in hair damage after being here in the UAE for quite sometime. They say it's because of the treated tap water, the increased UV exposure and well, the stress with all the adjustments one has to go through after the big move here. I can say it's true, but I don't really blame it all on living here. I had two perms last year, a number of root colouring for months and a full-head colour + highlights before I left. So yes, it's also my fault. The hair fall doesn't stop and though it's normal to lose up to 100 strands a day, it still freaks me out! I have thin hair to begin with and I don't want to be bald soon! And yes, the dryness at the ends. Sure, the treatments do help a bit but I'm thinking why not give my hair a fresh start instead. And with that, I mean a short haircut…a really short haircut. But I don't think I'm ready to let go of my long curly hair that soon. I'm thinking about it, yes, but with these double-sized cheeks that I have now, I don't think it would suit me just yet. I did sport a pixie cut years ago, but you see, I was also 20lbs lighter back then! The Anti-Hair Fall Collection is a 3-step hair regimen with a unique Keratin-repair system which provides a complete solution against damage to get rid of the hair fall in 14 days. The main culprit for hair fall here in the Middle East is due to the build-up of damage over time. And this damage is further aggravated with extensive styling, chemical and heat treatments, environmental and physical stressors. Each of our hair strand is consist of 90% Keratin, which gives it strength and elasticity. But because of persistent exposure to harmful elements, this causes the long strings of Keratin to break making it water soluble, easily washed away, leaving our hair damaged and prone to breakage. Thru the advances in Proteomics, the study of proteins, the technologies used in this hair care range has been developed. The research led to the ability to prevent and reduce the first stages of damage, where Keratin is lost at a molecular level. By stopping the damage at this stage, they were effectively able to prevent and reduce hair fall due to breakage. With the Anti Hair Fall regimen, the hair fibre structures are smoothened which reduces inter-fiber friction leading to less tangles. Hair cuticles are likewise smoothened, making the hair become more silky and more aligned, repairing the damage caused where Keratin was lost. I remember using the Pantene Hair Fall Control range years ago, so I'm wondering how different it is with this Anti-Hair Fall range. I'm thinking that aside from the packaging, it could be the added Keratin? So, how does this new hair care range work? 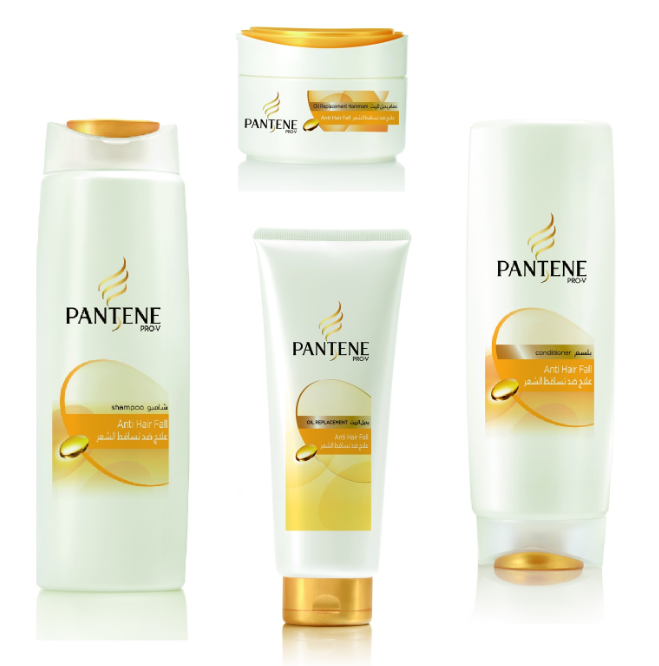 Pantene Anti Hair Fall collection uses a three step regimen to strengthen, repair and protect your hair from root to tip. It smoothes the hair shaft and forms a barrier to prevent keratin from being washed away, making it easier to comb and better protected against damage. Cleanses deeply using Pantene’s proprietary liquid crystal technology to restore the natural protective layer of your hair, Pantene Anti Hair Fall Shampoo protects against protein loss even better than any Pantene shampoo formula before. With a special formula that’s richer and more luxurious than ever before, Pantene Anti Hair Fall Conditioner uses a special blend of ingredients that makes it more similar to your hair’s natural surface to make applying it a sumptuous experience. Pantene Anti Hair Fall Conditioner moisturizes the hair shaft and detangles it, making it easier to brush through – by reducing combing friction, hair is less prone to breakage. 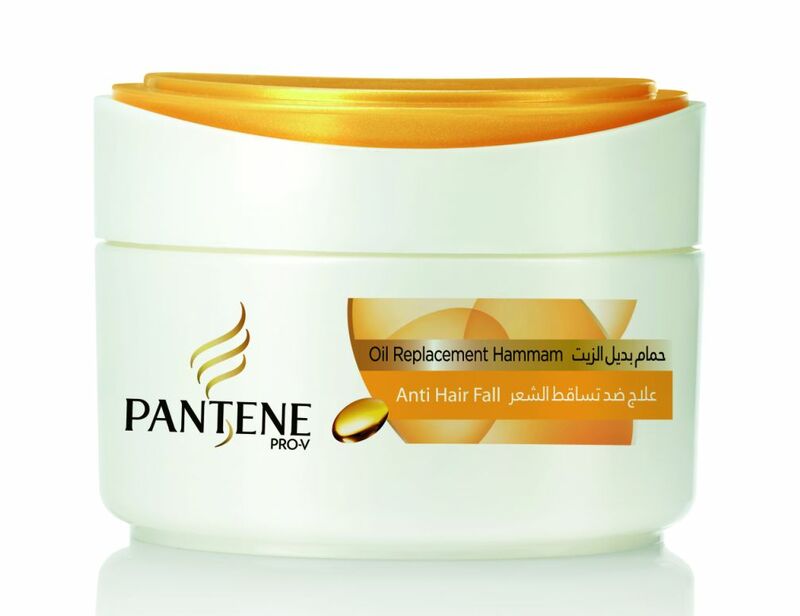 Packed full of highly concentrated, caring polymers, Pantene Anti Hair Fall Hammam is designed to deeply nourish, moisturize and repair intensely damaged hair, to give you glorious, glossy and healthy tresses. Think of it as a spa day for your hair – a little something special that leaves you feeling on top of the world! Exclusively designed to meet the hair needs of the women in the Middle East and North Africa region, this tailor-made formula is rich, creamy, and simply divine. As a leave-in treatment, Pantene’s Oil Replacement is designed to protect your hair from external aggressors all day long. So yes, there's still hope! I'll be trying out this hair care range in a few days and let's see if this will indeed help me with my hair problems in just 14 days! Then maybe, I don't have to cut my hair short after all.